BEIJING, Jan. 25 (Xinhua) -- Chinese scientists announced last week that one of the cotton seeds carried to the moon by China's Chang'e-4 probe was the first ever to sprout there, arousing plenty of excitement and scientific interest. A canister installed on the lander of the Chang'e-4 probe contained the seeds of cotton, rapeseed, potato and Arabidopsis, as well as eggs of the fruit fly and some yeast, to form a simple mini biosphere. Even though it soon died, the sprout marked the latest effort of mankind to grow plants in outer space, which is of great importance to future exploration into deeper space. Growing plants in space is not only a feasible method to supply food for long-time space travels but also an efficient way to maintain the mental health of astronauts in a closed and isolated environment. However, in space, growing plants has never been easy, which like humans have been accustomed to their habitat on Earth. The microgravity in space makes it a must for scientists to strictly control the plants' growing environment, including temperature, humidity and nutrition. As early as 1996, Russian astronauts had tried to plant wheat on Russia's Mir space station. In 2014, a vegetable growing experiment was conducted on the International Space Station (ISS). 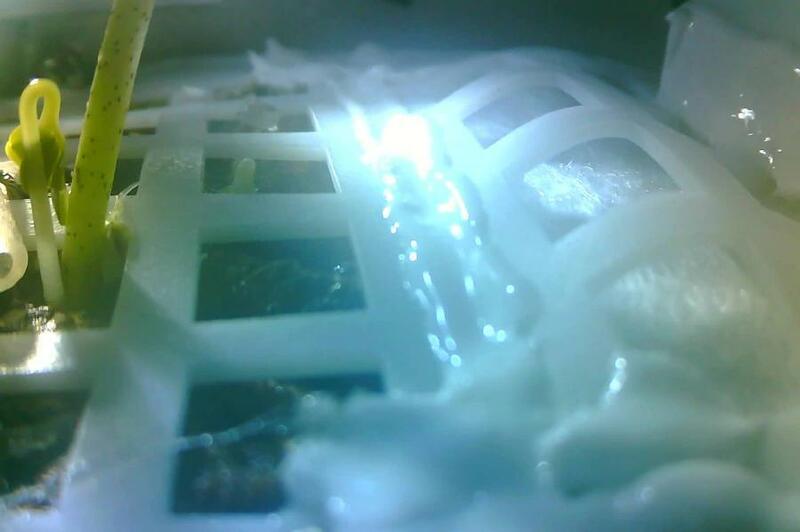 About a year later, the astronauts aboard the ISS had a taste of the lettuce grown in space for the first time, which, NASA believed, got humans closer to landing on Mars. In January 2016, the astronauts aboard the ISS announced that a zinnia had blossomed on the station. Also in 2016, rice and Arabidopsis were grown on China's Tiangong-2 space lab. Scientists and researchers on the ground cultivated the seeds through remote control and the seeds successfully sprouted, blossomed and bore fruit. There is still a long way to go for humans to produce food in space for long-term living. The most important thing is to ensure that the crops grown in space can be safely eaten. If the food tastes great, then all the more better.